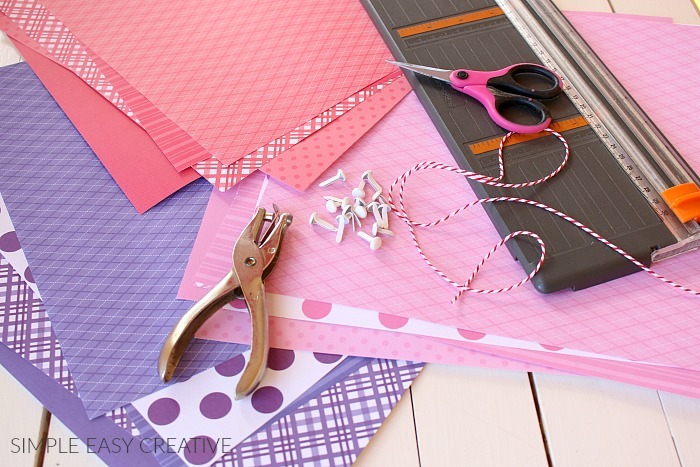 Paper crafts are super fun to make! 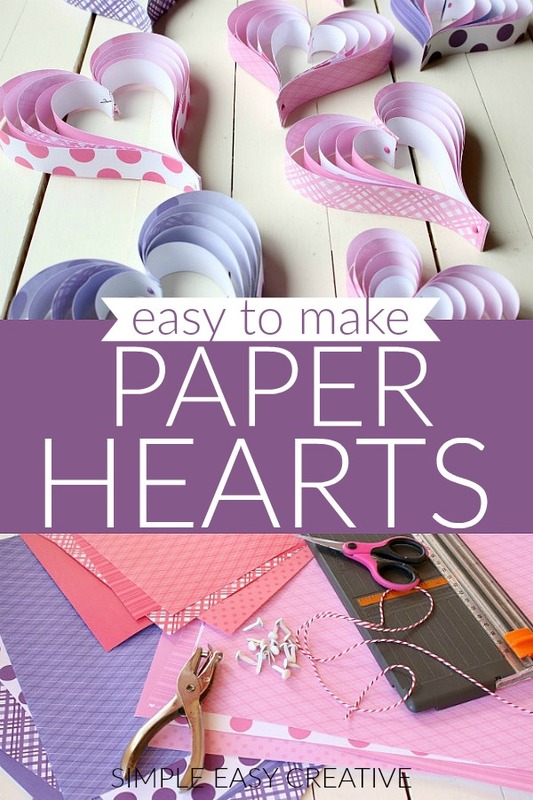 Learn how to make paper hearts for Valentine’s Day! 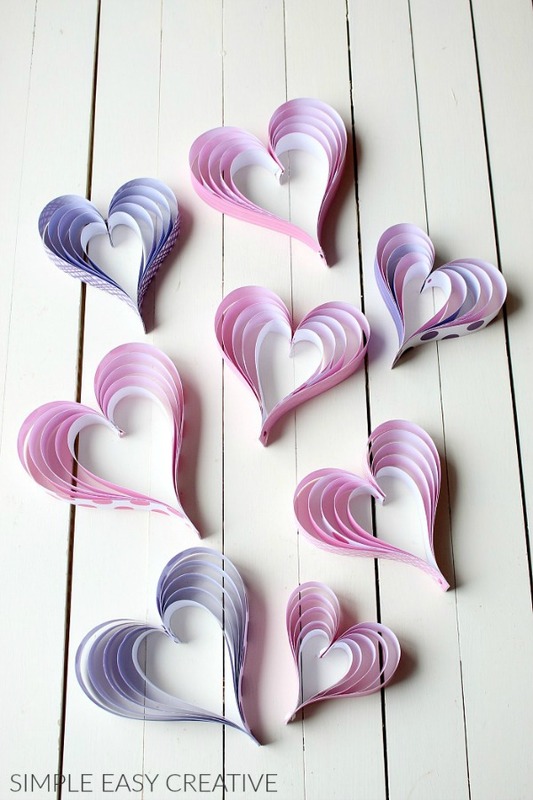 These paper hearts are perfect to hang up with Valentine’s Day decoration, add to a gift and much more! 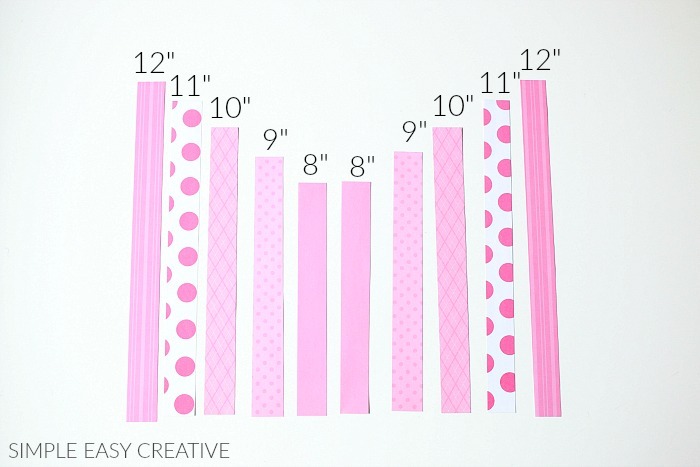 I think they would be super cute in a little girl’s bedroom! Straightedge cutter – Love this thing! Brads – these metallic guys are so cute! 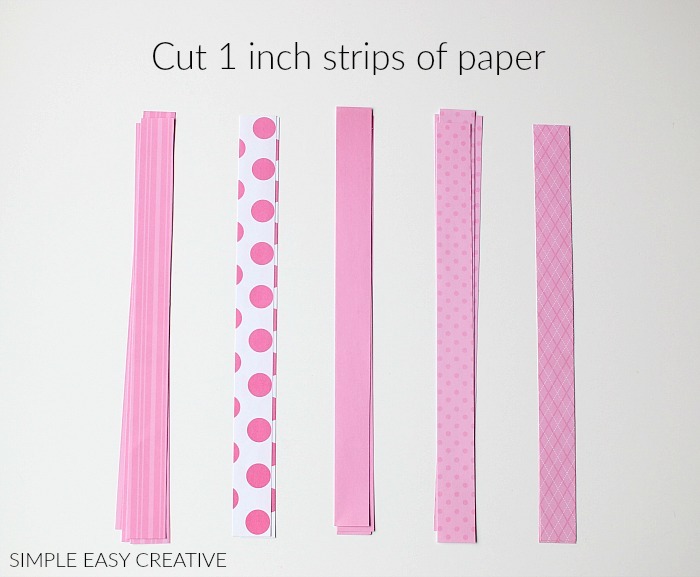 Cut strips of paper, 1 inch wide by 12 inches long. Or how ever long your paper is. 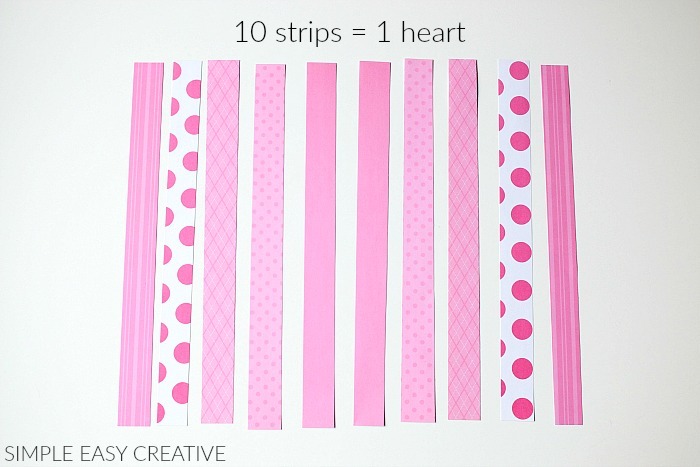 For the largest heart, begin with a 12 inch strip of paper. 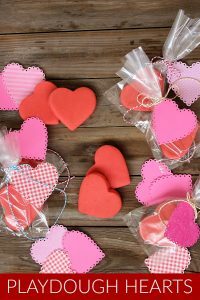 Use the leftover pieces to make these cute Valentine’s Day Treat Bags! 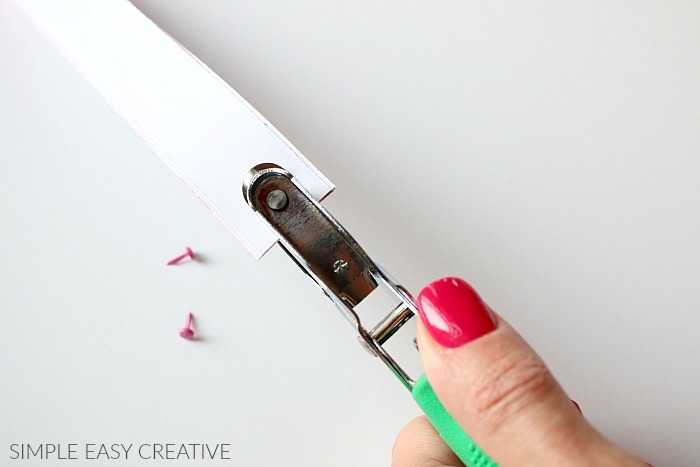 Make sure the edges are lined up, and punch a hole in the end, about 1/4 inch from the edge. 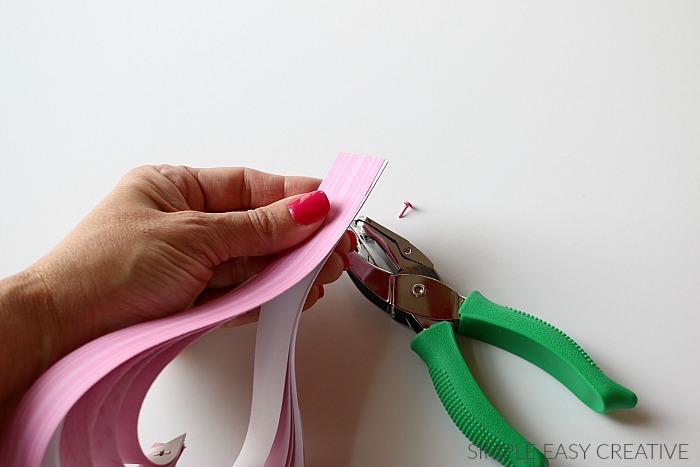 If your hole punch is strong enough, punch all the strips at once. 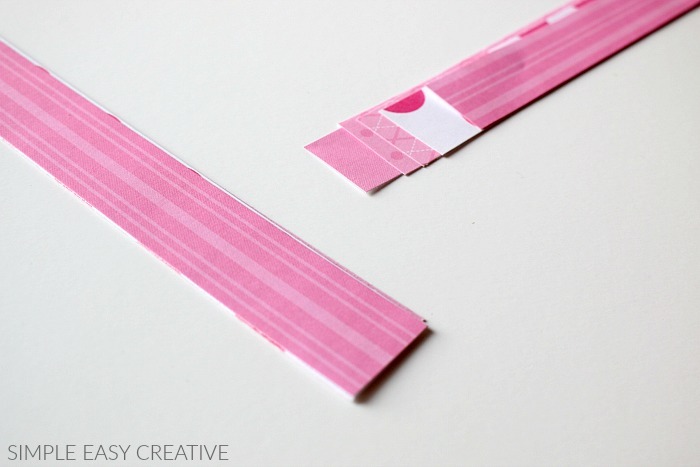 If not, punch one set, then use one of the strips as a pattern to punch the other set. Now, lay the papers together with the 2 longest pieces facing together, right sides together. Making sure the holes are lined up, then attach the brad fastener. Next it’s time to form the heart shape. Bring each of the ends together until they match and punch a hole. 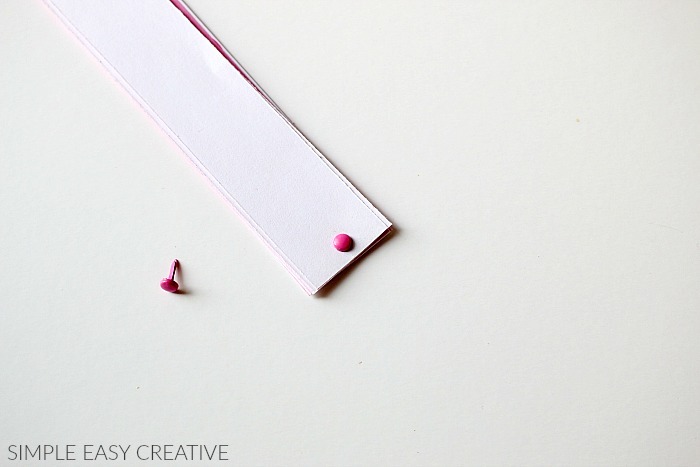 If your hole punch isn’t strong enough to go through all 10 pieces of paper, use the hole you punched on the other side as a guide. 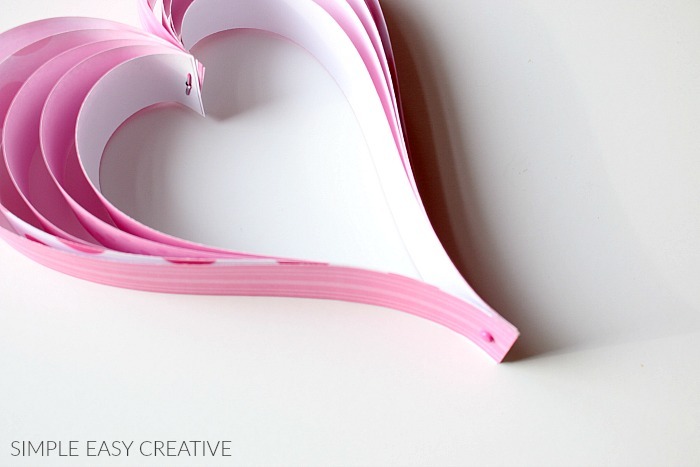 Now, attach the brad fastener and you are ready to hang the paper hearts. 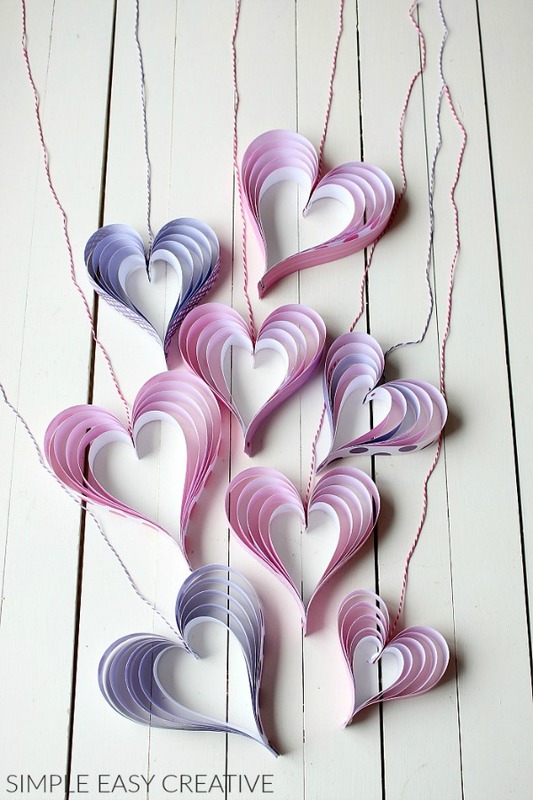 Add twine to the hearts if you want to hang them. Wrap the twine around the brad in the center and tie it off. Love this heart. Thanks for the step by step instructions. Hope to try it soon. Very cute, Liz, thanks for sharing your tutorial! I love these! 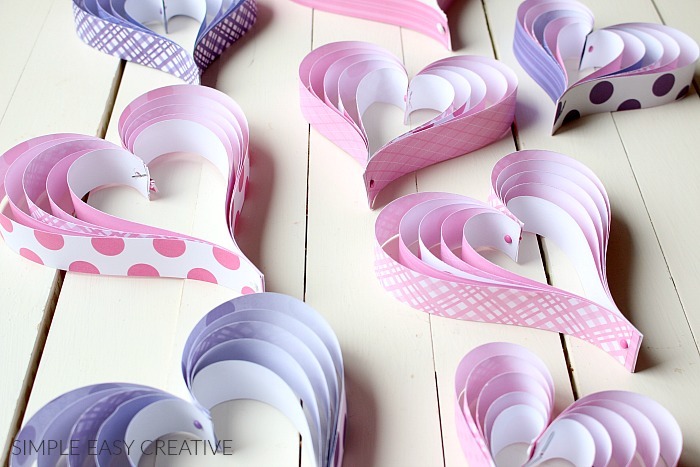 So beautiful, I really hope I find time to make these. Thanks for sharing, saw you featured at Kitchen Counter Chronicles. 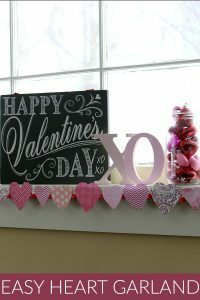 I’m pinning so I don’t forget! 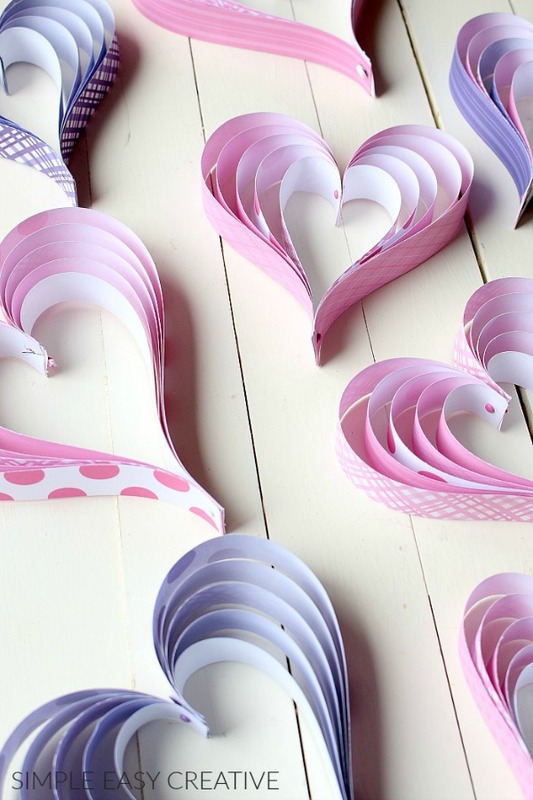 adorable paper hearts! can’t wait to try them! 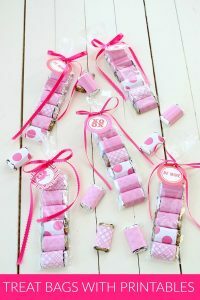 This is a very cute, sweet idea! 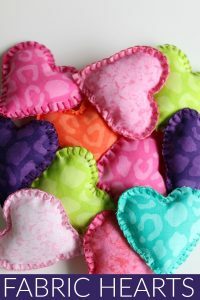 I think I will have my kids make some for V-day. Maybe they can make some extra for their classrooms! These are GREAT! Thanks for a clear and beautiful How-To!! I can’t wait to make them with my daughters. Thank you so much I can’t wait to make them they are so pretty! Oh yes, these are cute! My son would have fun doing these. And as Linda noted above, no glue and glitter so less mess to take care of.